For field trips, away games, church functions, and many other types of group travel, the 25-passenger minibuses in our network are just the right size. You can upgrade these minibuses based on your passengers—WiFi works great for businessmen glued to email, and TV monitors keep kids entertained on longer trips. There are many reasons people book a minibus with us, but one of the biggest is our commitment to safety. We’ll never put you or your passengers in an unreliable bus. 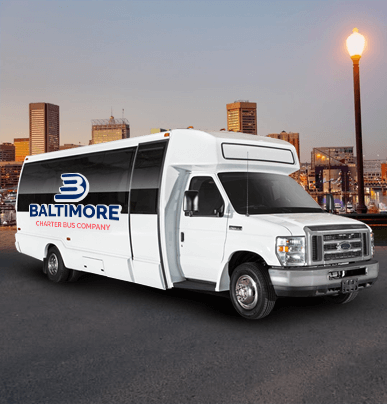 See what it’s like to have the best group transportation in Baltimore—call us today at 410-800-4577 for a quick minibus quote. The compact yet functional design of the 20-passenger minibus makes it a top choice for groups that desire fast, efficient transportation. Book this minibus to provide an exclusive shuttle service at your wedding or corporate event. 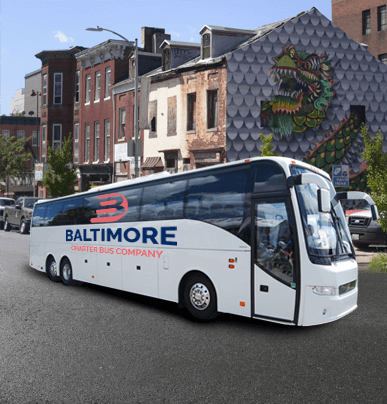 With a personal bus by your side, guests won’t need to worry about navigating Baltimore or getting lost on the way to your event. The smallest motorcoach option available, the 18-passenger minibus is a great solution for short-distance trips with smaller groups. Take your students on a tour of Baltimore’s top colleges, or book a quick day trip with your friends. Whichever you choose, this minibus is always preferable to separating your group into individual cars or relying on rideshare services to travel. Large groups will find the 56-passenger charter bus to be the perfect solution for their ground transportation needs. This spacious model is perfect for accommodating large groups on local or long-distance trips. Keep aisles clear with luggage bays and overhead storage, eliminate unnecessary stops with an on-board restroom, and enjoy entertainment options for a relaxing trip. Medium-sized groups enjoy the blend of size and comfort that the 25-passenger minibus provides. 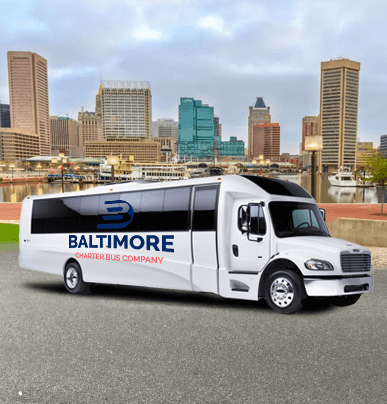 This model will ensure safe travels for your entire group throughout Baltimore, with a professional driver at the wheel to navigate you to every stop on your itinerary. 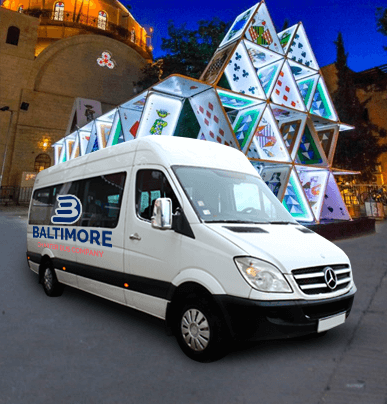 With a spacious interior, entertainment options, and the power to craft your own itinerary, you’ll always enjoy your trip with the help of a 25-passenger minibus.